Want to cuddle with Yoni? Yoni creates an island of calmness away from the bustling world. A perfect combination of attentive touch and a good listener, mixed with a good dose of relaxation. Yoni has a Doctorate in Human Sexuality, and a Masters in conflict resolution. 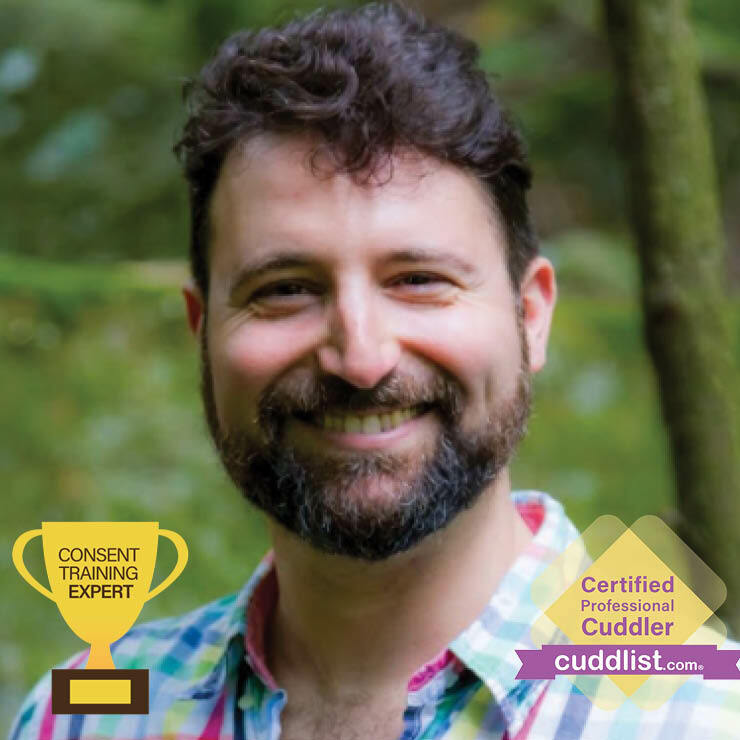 He is a Certified Cuddle Party Facilitator, and author of http://www.thebookofcuddles.com . In his past, he also taught dance and played music for over two decades. 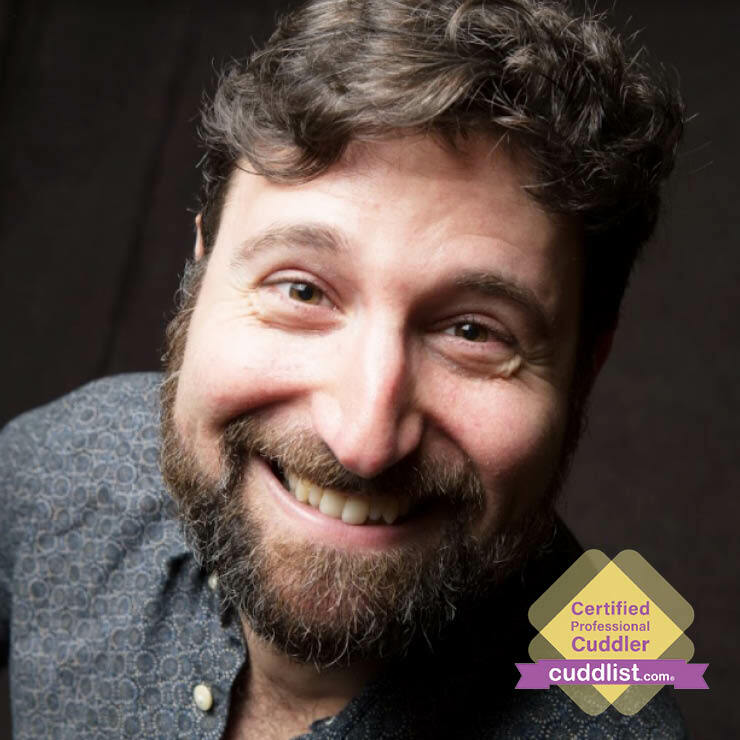 Having so many different perspectives makes him a very talented before-during-and-after-care-giver: While his soft and gentle touch can be soothing and comforting, he is also quite the conversation buddy and can really hold space for anyone in need. Companionship – Want someone to sit and talk with? Maybe while being held? 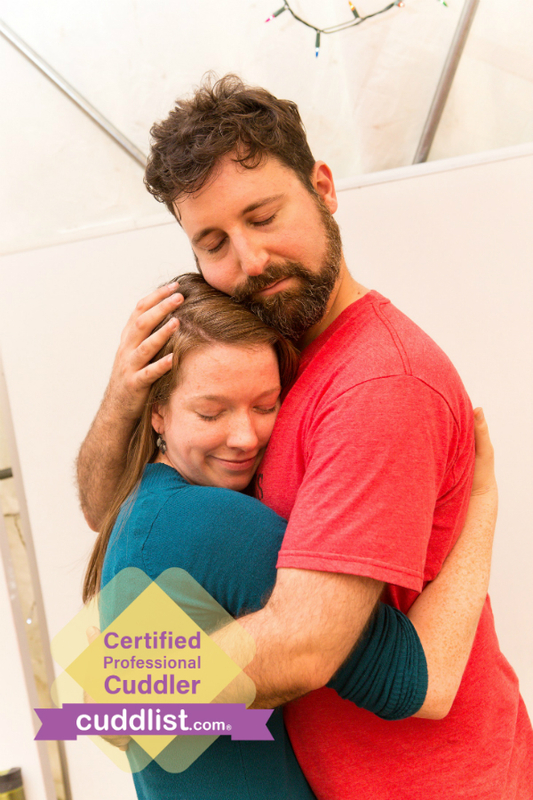 Emotional support – Going through a breakup and just need a shoulder to cry on? When was the last time you’ve been heard? Help falling asleep – Want someone to play with your hair while you fall asleep? How about falling asleep wrapped in a cocoon of warmth? Loneliness – Are you surrounded by people, but still feel alone? Traveling through town and want someone to be with? Overnight stay – Don’t want to spend the night alone, but want some platonic company? I am not taking on many new clients nowadays, but feel free to reach out and we can see what we can do. I can either come to your location or you are invited to join me at my cuddle space to enjoy each other’s company, conversation and intentional touch. The space is in the Richmond District in San Francisco. It is a no pets or smoking area, and alas it is not wheelchair accessible. Travel fees are wavered in respect of disabilities. Please let me know if you have any special needs or questions, and I’m looking forward to meeting you soon!